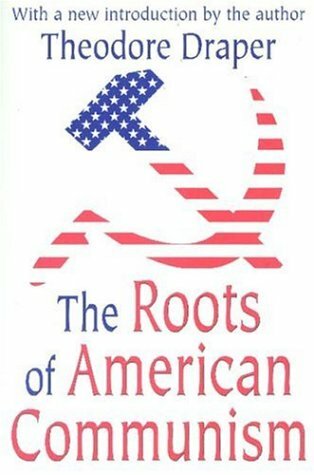 Theodore Draper's incredibly detailed book about the many groups, factions and individuals that would form what became the Communist Party USA. Mostly focusing on the years 1917-1921, Draper traces the roots from the 'Left-Wing' of the Socialist Party of America and the IWW, to the Third International-linked CPUSA. It's been years since I read this & Draper's sequel (the title of which escapes me right now). It's an important book, well-written, fully documented and objective. Draper himself was a member of CPUSA in the 'thirties, leaving the Party after the announcement of the Hitler-Stalin Pact. While remaining a social progressive, he maintained an anti-Stalinist position. His brother, Hal Draper, was among the Trots & wrote Karl Marx's Theory of Revolution, an important work that, while critical of Anarchism, does present the libertarian roots of Marxism. Draper's tale of the ins & outs of the Bolshevik-inspired movement in the US Left plainly & without polemic, shows the demise & moral corruption of the Left in this country, which still suffers the effects of Leninism. One of the key histories of the US Left.